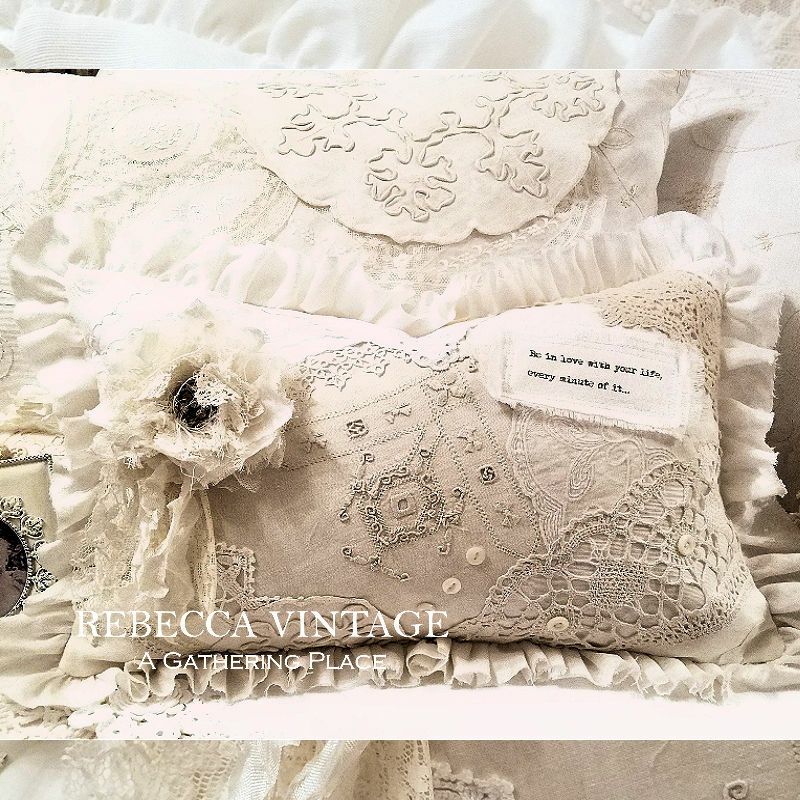 A pretty and romantic Pillow created using lovely vintage laces and high-end European handwork. 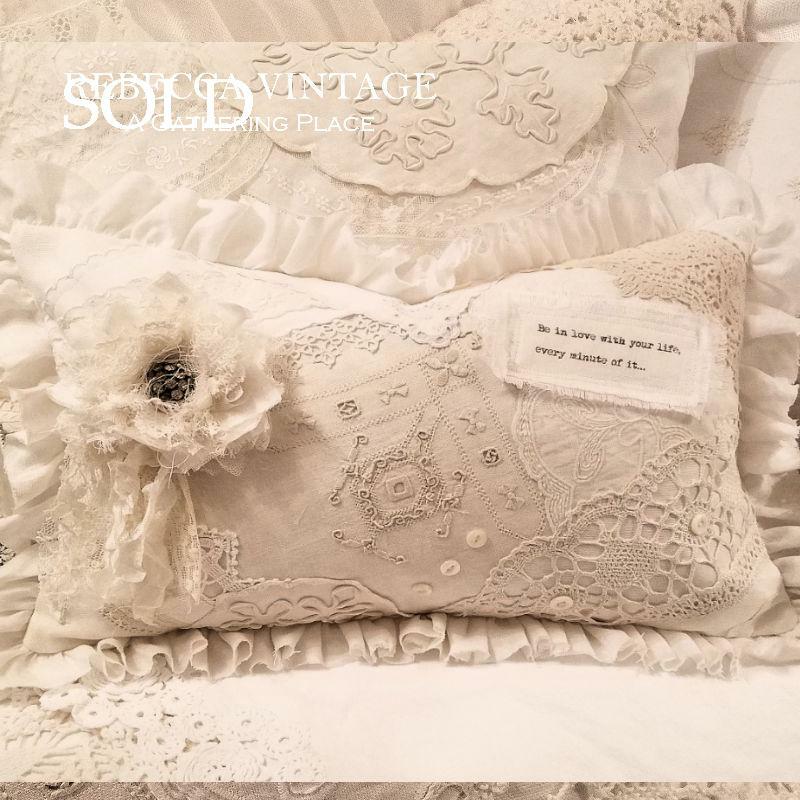 The vintage embroidery found at the center of this one-of-a-kind Pillow is absolutely beautiful. You will love it. 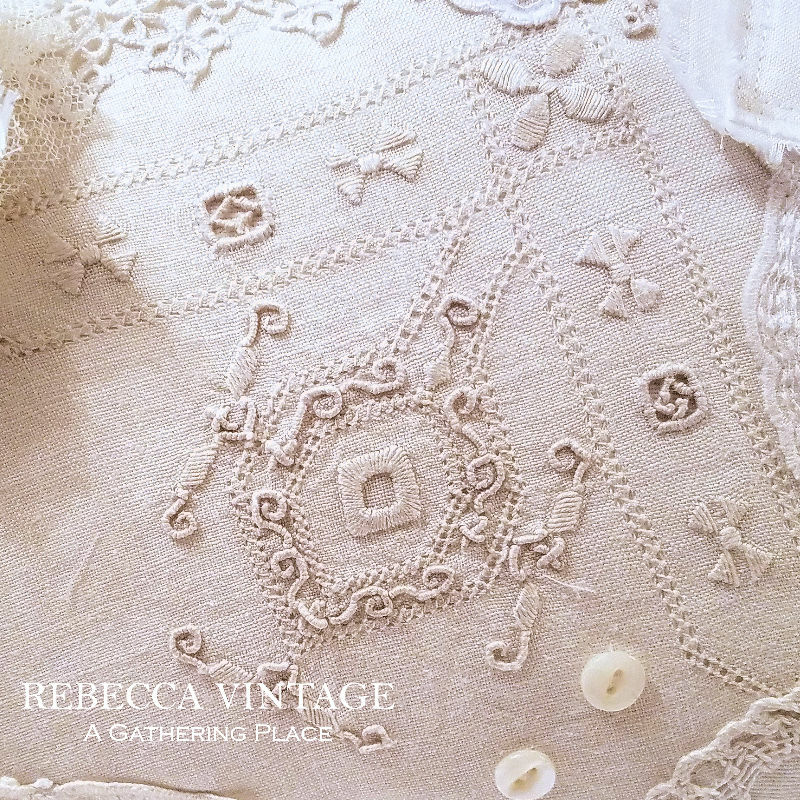 Made in several shades of soft white, off white, white, cream and light beige. 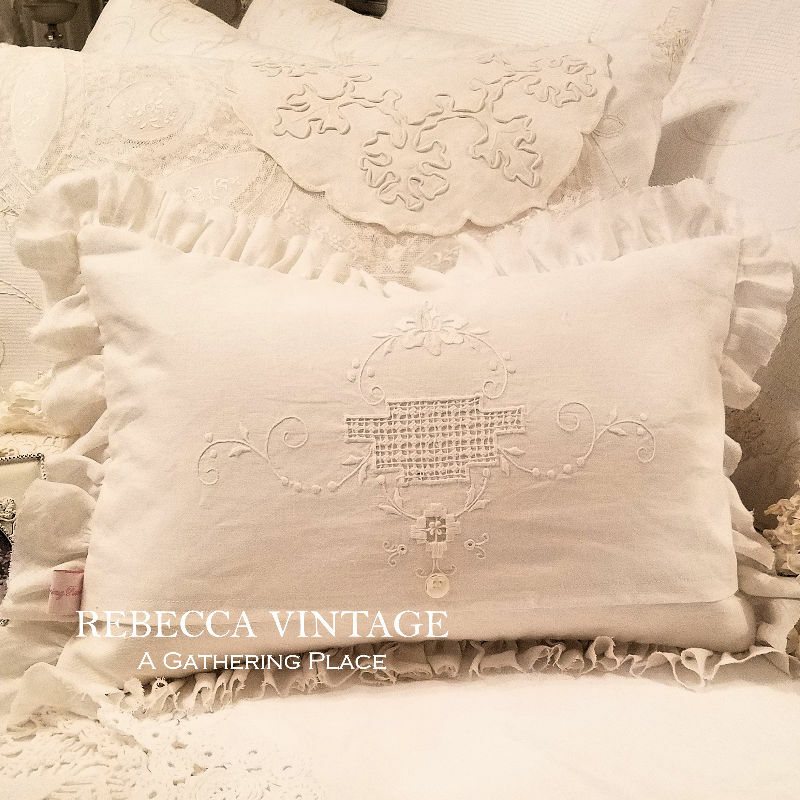 Fashioned in soft white linen (almost white white, but not quite!) with a flirty all around linen ruffle in a matching shade. 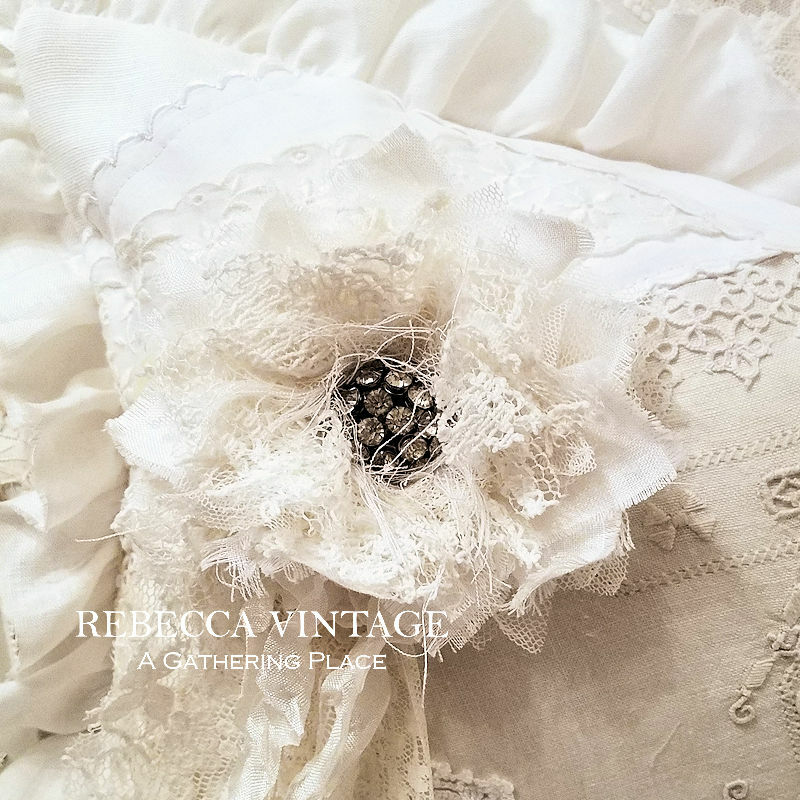 Accented with vintage laces, old shell button and a gorgeous vintage lace pin that includes tattered trims and ruched ribbons... The pin is removable, too! 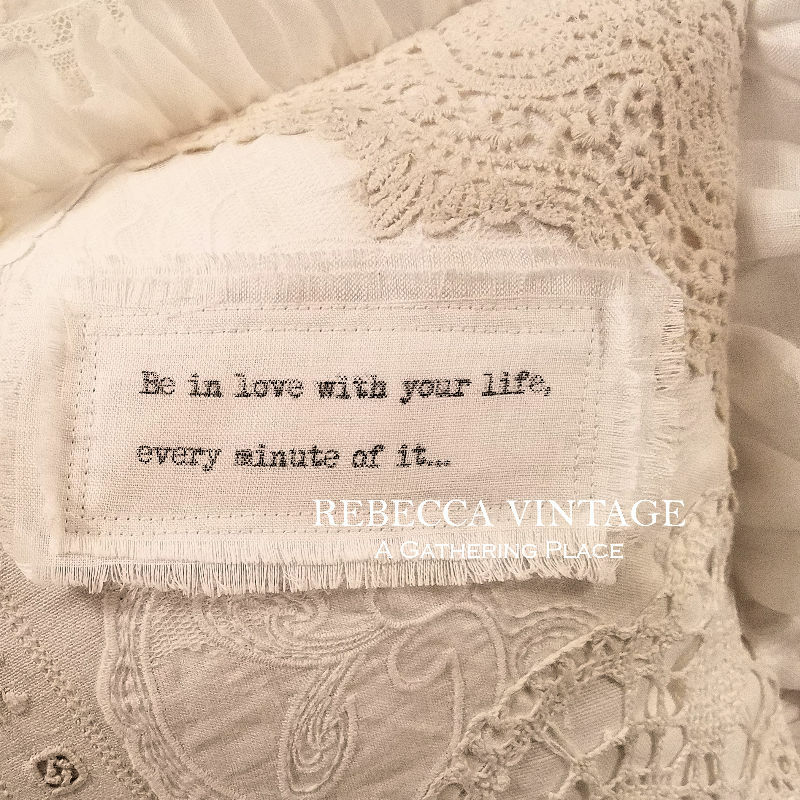 The reverse side showcases a beautiful example of old embroidered cotton at it's finest. Filled with a soft feather insert and hand stitched closed. Measures about 12" x 19" including the tattered (raw edge) ruffle. Happy to combine shipping whenever possible. Shipping overage happily refunded once we know the cost of your purchase! Continental USA only. Please contact us for overseas shipping charges or for AK or HI!